Forget flowery speech—at Bia Coffee in K-Town, grab a cup of flower coffee, tea or a petal-infused latte. 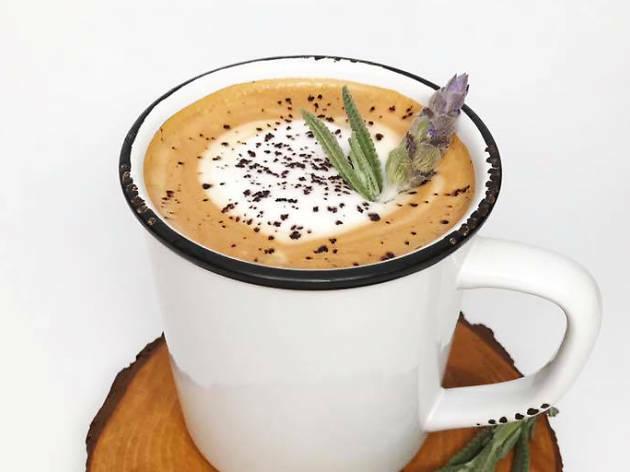 Bia's flower syrup is all-natural, and a way to add an herbaceous twist to your caffeine fix. 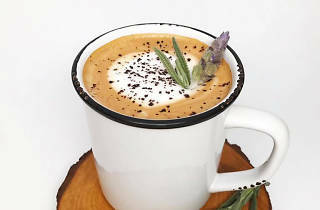 Choose from simple additions of rose syrup or lavender syrup, or go all-in with lavender- or rose-infused cold brew; cakes; confections like meringues; house-made flower sodas; flower-infused chocolates; and lavender-cream-topped drinks.